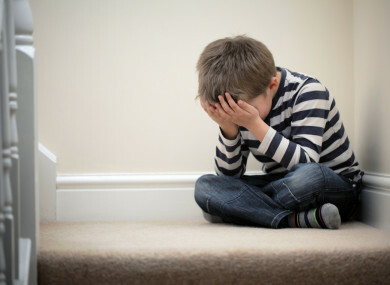 TUSLA, THE CHILD and Family Agency (CFA) last year received 52 child protection referrals every day, new figures show. According to the Minister for Children and Youth Affairs, Katherine Zappone, Tusla last year received a total of 19,087 referrals for various forms of suspected abuse against children. The number of referrals received last year represent a 5% increase on the 18,235 child protection referrals in 2015. The figures show that 3,042 referrals for sexual abuse of children were received or more than eight every day in 2016. The 3,042 total last year represented a slight increase on the 2,940 received in that category in 2015. In addition, Tusla received 4,450 referrals concerning the physical abuse of children and this represented an 11% increase on the 3,991 referrals under that heading in 2015. In addition, 4,724 referrals were made concerning neglect of children and this was down marginally on the 4,769 referrals in that category in 2015. The figures provided by Minister Zappone show that Tusla received 6,870 referrals concerning emotional abuse and this represented a 5% increase on the 6,535 referrals in 2015. The 19,087 child protection referrals last year is also up 2% on the 18,676 referrals in 2014. In her written Dáil reply to Mattie McGrath TD, Minister Zappone said that multiple referrals can relate to the same child. She said: “Last year, 36% per cent of referrals were for emotional abuse, 16% for sexual abuse, 23% for physical abuse and 25% related to neglect. Email “Nearly 20,000 reports of suspected child abuse were made to Tusla last year”. Feedback on “Nearly 20,000 reports of suspected child abuse were made to Tusla last year”.